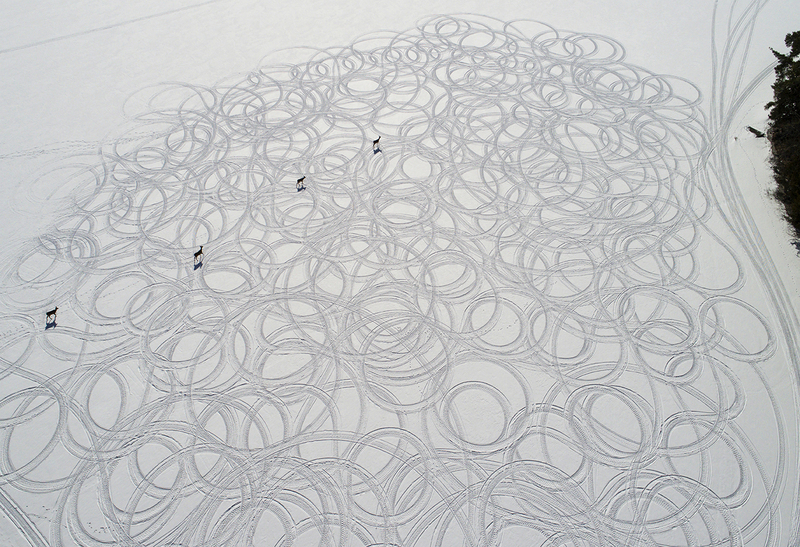 Laura Millard’s recent works include aerial photographs of snowmobile line drawings made on frozen lakes. She’s also photographed jet contrails from military airshows. She often uses unmanned aerial vehicles (UAV) and drone technology to draw and record traces of motion in relation to the practice of drawing. 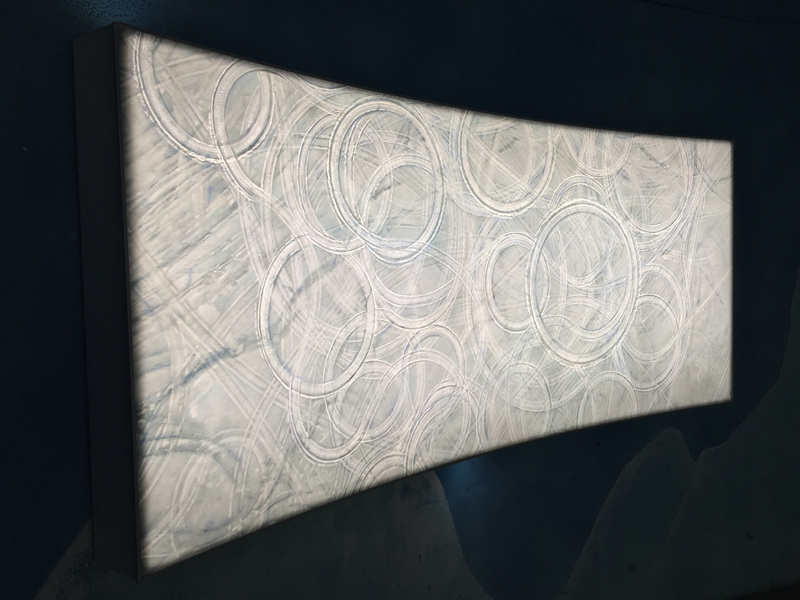 In a new series, she will be transforming a drawing into a digital print on fabric for use in a six- by ten-foot light box. “My practice-based research explores drawing by combining media in new ways and by working across media. The research is done in my studio, in the field, while on residencies and in collaboration with other practitioners,” says Millard, who’s also an associate professor in the Faculty of Art. The result is work that records the landscape in alternative ways and explores new representations of place and environment. “My research tracks the problematics of how landscape representation, through colonial historical precedents, has framed the dominant discourse,” she says. Millard frequently travels to artist residencies internationally to further her practice. She is participating in a Banff Artist in Residence (BAiR) where she’s developing new work. It’s where she first choreographed ice-skating marks on the Vermillion Lakes and Lac des Arcs, documenting the temporary line drawings with a camera-equipped quadcopter over the course of a season. She’s also participated in the Brucebo Fine Arts Residency in Sweden and the Red Gate Residency in Beijing. 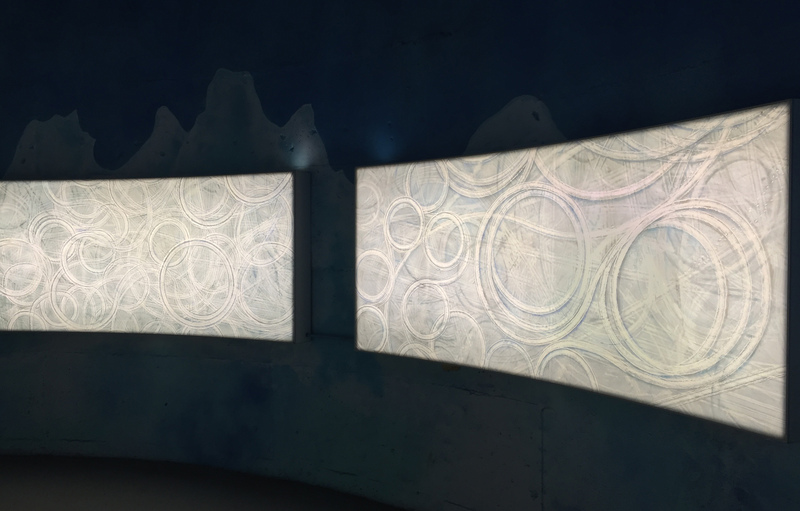 Millard’s recent work was part of the group contemporary multimedia exhibition Every. Now. Then: Reframing Nationhood at the AGO in 2017. The exhibition aimed to address the mistakes of the past, rewrite and reclaim history and move into the future with new insights. Her work has also appeared in numerous solo and group shows, and she is often invited to do artist talks at galleries and educational institutions. As such her advice for students at OCAD U is to make full use of the studios and studio facilities. “Take as many hands-on studio courses as you can and make as much art as you can. Take advantage of off-campus studies in Florence, and student mobility and exchange programs,” she says.